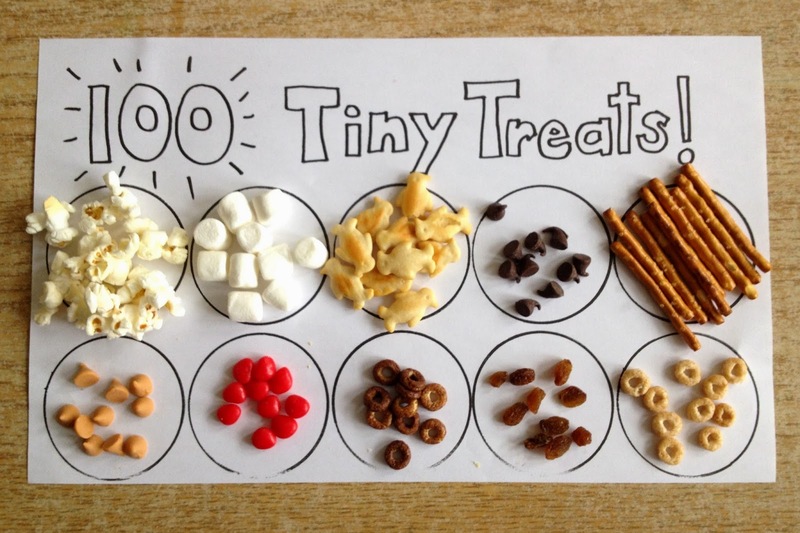 We counted out 100 tiny treats. 10 of each treat. Then we counted by 10's to make sure that we had 100 treats! We came to the conclusion that 100 could be a lot, or 100 could be a little. We learned about perspective. Student: Hey! That's not very many treats! I thought we were getting 100 treats? Ms. Brown: Did you count them? Ms. Brown: 100 is 100. Student: Next time the treats need to be bigger, so then we'll get more. Ms. Brown: But you would still have 100.